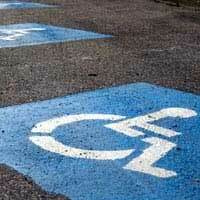 Effective January 1st, a new Illinois law narrows the use of disability parking placards, allowing free metered parking only for drivers who receive placards based on a doctor’s recommendation and meeting legislative criteria. Although the law is currently enacted, Mayor Rahm Emanuel announced that the City of Chicago is offering a 15 day grace period for motorists to adapt to the new law. Tickets will be issued starting January 16, 2014. “Whether it’s a space on the street at metered parking or in parking lots with spaces designated for people with disabilities, we will enforce all disability parking laws to prevent abuse and ensure people with disabilities have the available parking that the law provides,” Mayor Emanuel said.